In the fall of last year, I refinished a wooden shelving unit and documented the process to eventually share on the blog. And I still plan to. But before I get into the weeds on sanding and priming and painting, I first need to explain who and where this furniture came from. The shelves originally belonged to my Great Grandmother, Sarah Cohen Zarit, who lived on the 20th floor of an apartment building on Chestnut Street in Philadelphia, PA. She was my mom's mom's mom. I never knew my Great Grandfather Charlie, who died 4 years before I was born, but I knew my Great Grandmother (Nanny Sarah) very well. She was the archetype of a smart, strong, and powerful woman. She lived independently in that apartment until she passed away at the age of 94. I was 18. Born in 1908, she was a first generation American. As Jews, her parents fled religious persecution in Russia at the turn of the 20th century. She was incredibly bright and entrepreneurial. She worked her way up to Office Manager and eventually part owner of a book binding company called Sam Bless & Company. Despite being married and having taken her husband's name, she continued to go by Miss Cohen instead of Mrs. Zarit at work. Because this was the 1930s, she garnered more respect from her employees if they thought of her as unmarried than as married and working outside of the home. She taught me how to play Mah Jongg. Starting when I was about 10, my mom, sister, and I would go visit her in her Philadelphia apartment and play Mah Jongg while eating candy and chocolate. It was not unusual for her strict adherence to speed and rules to have me in tears. My daughter was named after her. With a nod to my husband's West-African roots, we named her the arabic form of Sarah: Suraya. My next post is going to go into the process of sanding down the old paint, priming the wood, and painting in the proper direction with the proper brushes. But these wooden shelves represent so much more than my latest DIY project. They represent my Nanny Sarah. They represent the daughter of immigrant parents. They represent the importance of protection and safety from persecution. 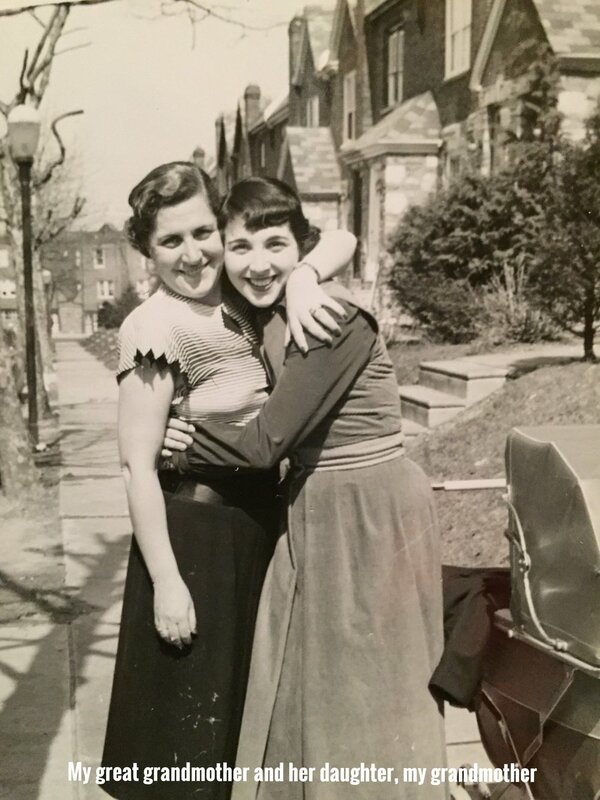 They represent the power of America: that the daughter of Jewish immigrant parents in the early 1900's in Philadelphia could leave behind a legacy of one child, three grandchildren, seven great grandchildren, and ten great great grandchildren (so far!). And that she and those descendants and their spouses have served this country in the military, as doctors, as lawyers, as teachers, as social workers, as engineers, as business owners, as good human beings. We are all immigrants.